The Bülte Company is a family company, created by Norbert Bülte in Germany, in 1956. His son, Stefan Bülte, is now President of the three companies of the Group, in France, Germany and in the UK. For more than 60 years now, Bülte has specialised in plastic fasteners, as well as plastic and plastometallic fasteners and protection products, selling its products worldwide and working with every industrial sector. Bülte’s standard range is composed of more than 30,000 references, and it re also develops specific products, according to customers’ request. How has business been in France in 2018, compared with 2017? In comparison with the year 2017 that was already good, the year 2018 has been very successful in terms of business. As usual, we dealt with every Industry sector (car, food, outdoor, machinery...), all around the world. We launched several new products and reinforced our standard range with new items. 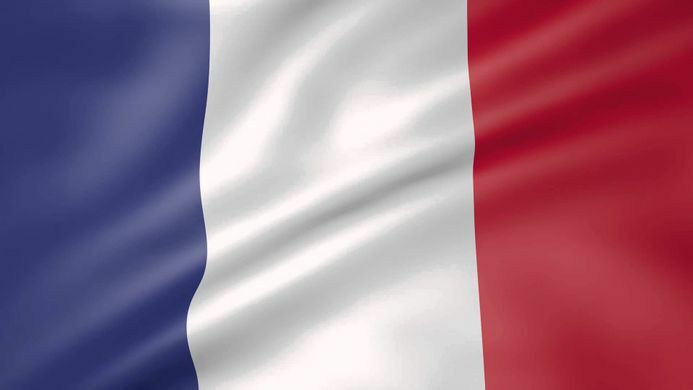 What proportion of your business is in France? Our Group is divided in three companies: Germany, France and the UK. So, regarding our business unit in France, the proportion of our turnover in France is about 75%, the rest being export. What’s your view on the fastener market in France right now? Buoyant? Challenging? The fastener market in France is still a specific and stable market. The application fields of the nylon fasteners are increasing, and thanks to our technical expertise and advice, and our priority given to the building of strong and human business relationships, we are improving and extending our activity every year. We plan to go on with the development of new products and present them at the Fastener Fair Stuttgart in March 2019. We are also working on our 3D catalogue for our leading product families, which should be available by the end of the first half of the year. It will for example allow the engineering consulting firms to integrate our fasteners in their technical and mechanical specifications, as from the designing/creating step. In 2019, we will also focus on the Spanish speaking countries and on Italy, as our website is now available in those languages. We will also go on developing our activity in Australia as we achieved very good business year there in 2018. Thus we should be able to keep our dynamic growth by increasing the number of our customers worldwide. PGB-Europe holds over 25,000 SKUS of stock in fasteners and fixings, focused on high quality product and optimal presentation. 2018 was a year of change for pgb. We started with a new ERP program called SAP and finalised the construction and implementation of our full automated pallet warehouse in December this year. This was a huge change and creates a lot of possibilities for our company. pgb-Europe invested in a local sales team, pgb-France, in 2017 which is located in Saint-Amands-Les-Eaux in the North of France. We have been creating a position for our company in the French market in 2017. In the last two to three years we adapted our product range to French standards for bolts (ISO 4014, ISO 4017, EN 15048, EN 14399 HR), ISO 4032 nuts and NF washers. This allowed us to make a big step forward in the French market and development of pgb-France. The development has been rather rapid in 2018. We have been increasing our number of customers a lot towards 2017 and hope to continue in this way in 2019. For many years our company has focused on branded, high quality fasteners like pgb-fasteners, SMART anchors, Hapax screws, PFS screws, etc, which are partially produced in our group by PHC Fasteners in Vietnam (wood screws type Hapax, PFS and drywall screws), by pgb-Polska in Poland (SMART anchors) and partially imported through our pgb-Asia sourcing office. It allows us to provide stable quality and to control the lead times. Our turnover in France in 2018 is below 10% of our global business. We intend to reach 15-20% within five years. Our complete range, high stock level, quality, quick shipment due to our automated pick and pallet warehouses makes us a reliable, stable partner for our customer and future customers in France and in Europe. The French market is challenging for us. We created an experienced sales team which is very competent to challenge the market. We see a lot of opportunities in the distribution chains in France due to our different packing possibilities and experience in Benelux market. Our range and presentation makes us an interesting partner. The steel construction market is much bigger than in Belgium which allows us to create more stock in SB EN 15048 and HR EN 14399 fasteners. We want to further develop our company in 2019 and believe we can take advantage of our investments in the last two to three years. In particular, our full range of HR EN14399 bolts makes our range more complete and more attractive in 2019 for the French market. We are further increasing our stock level on EN 15048 fasteners which will allow us to cover a bigger part of the European market. The C.K brand, (part of Carl Kammerling International) and a leading provider of high quality hand tools and storage solutions, continues to be widely recognised by customers in France, offering the reassurance of a superb range of products, all designed to meet end user needs. “Despite a challenging electrical wholesale market in 2018, with retailers reporting lower demand and less footfall into stores, we have continued to open new businesses and retain our strong position in the markets." The brand has launched a new C.K ‘Top 25 Products Promotion’. YESSS branches who buy into the promotion will be able to benefit from a 2% additional rebate and become an official C.K stockist. Available from 14 January until 31 December 2019, the offer involves YESSS branches buying the top 25 best selling products in France, together with an attractive low value cost for the profile. As the products included in the promotion are already proven to be best sellers, this presents a great opportunity for C.K stockists to significantly drive their sales, the firm said. A few highlights of the top selling products available in the profile include: Best sellers from the C.K Redline VDE range, the fantastic premium quality dextro VDE and Slim Screwdrivers and the extremely popular MightyRod Cable Rod. C.K stockists are guaranteed to benefit from over 3,000 quality products, exceptional service (98% stock availability, 96% delivery on time and in full), marketing support and extensive merchandising support.